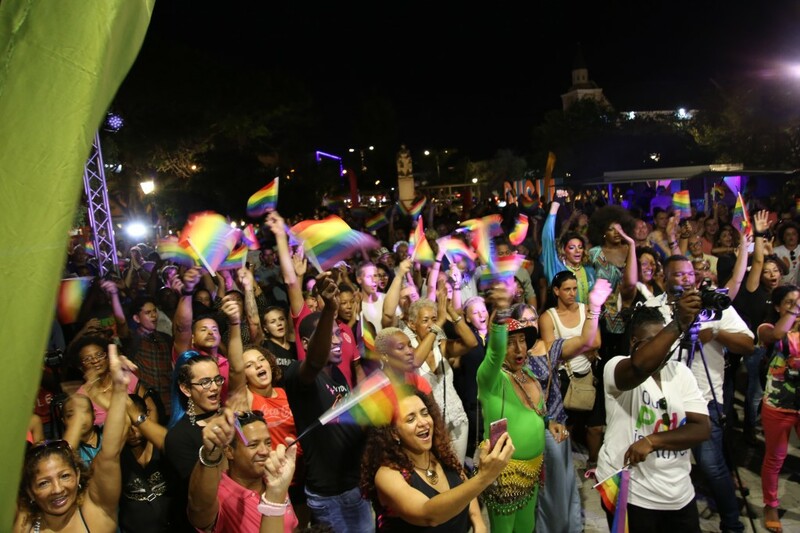 WILLEMSTAD - The Curaçao Pride 2017 opened this year by Premier Eugene Rhuggenaath was an amazing success. Not only did the Pride receive a lot of attention in the media this year, but tourism also benefited greatly from it. Floris Suite Hotel, the host hotel of the Curaçao Pride, was sold out 2 months in advance of the start of the Curaçao Pride. Thus, many tourists who came especially to Curaçao for Pride searched for accommodation in the surrounding area. "It is nice to see how the Curaçao Pride increased again in the number of visitors, both locally and internationally. We are glad that, apart from contributing to the acceptance of LGBT on the island, tourism also boosted during this period. " The Curaçao Pride has received lots of attention in the media this year. We had to deal with supporters and opponents regarding LGBT acceptance on the island. This has led to a dialogue that is very valuable to us. Without communication, there is no progression. And that's something we need hard!